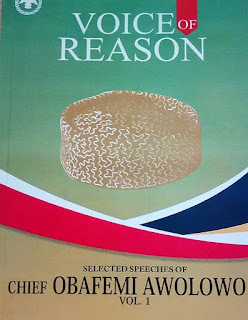 Chief Jeremiah Obafemi Awolowo was a Nigerian nationalist, political leader, writer and a principal participant in the country’s struggle for independence. Obafemi Awolowo (commonly known as Awo and often referred to as ‘the sage’) was one of modern Nigeria's founding fathers. He is one of three National Heroes of the Nigerian nation (along with Abubakar Tafawa Balewa and Nnamdi Azikiwe). 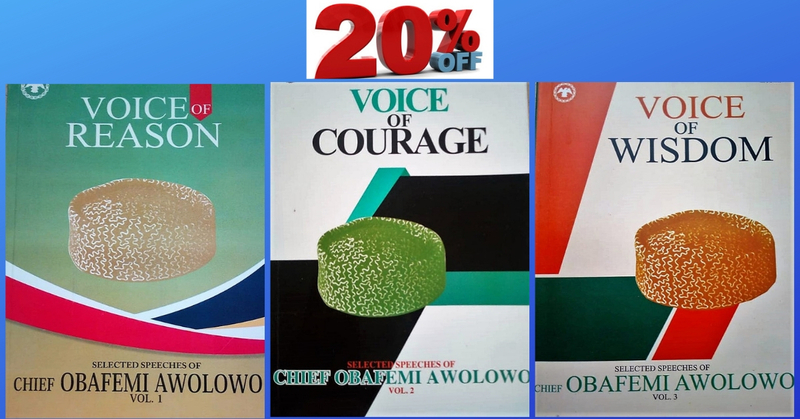 Sunshine Bookseller is giving you a once in a lifetime opportunity to equip your library with the 3 volumes of a trilogy of Chief Obafemi Awolowo's collected speeches all at a whopping 20% discount. Have we gone bananas? Maybe! Come quick before our sanity comes back to us! Don’t miss out on this once-in-a-year deal! You have less than 3 Days before our 20% off sale goes away. Shop now! - Call to Rededication and Reconstruction (1961): In Voice of Reason. Power enslaves: absolute power enslaves absolutely. I have made a diligent search through history, and I have not come across a single instance where a regime, be it military or civilian, which has come to power at its own will, and has wielded that power for many years, has found it easy to extricate itself from the sweet uses and shackles of power, and then hand it to others outside its own hierarchy. It is possible, quite possible, that my search is not exhaustive and so, I stand to be corrected." 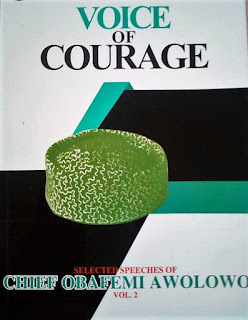 - University of Ife Convocation (1974): In Voice of Courage. It appears to me that the causes of the last Civil War lie embedded in the nether realms of such degrading and depraving evils as unemployment; mass ignorance; endemic and debilitating diseases; low productivity; abuse and misuse of power, bribery and corruption; favouritism and nepotism; ethnocentricity and tribalism; much poverty and much discontent." - Address to The Nigerian Trade Union Congress (1970): In Voice of Courage. If we are in the habit of practising the opposite of what we preach, our admonition will not only lose their force and cogency, but also we ourselves will forfeit every claim to credibility. An ounce of example, it has been widely said, is far better than a ton of precepts. 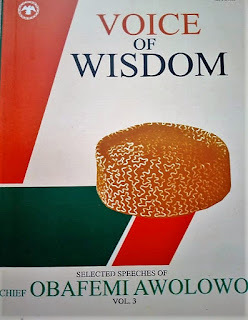 -Address to the Congregation of the University of Ife (1970): In Voice of Wisdom. 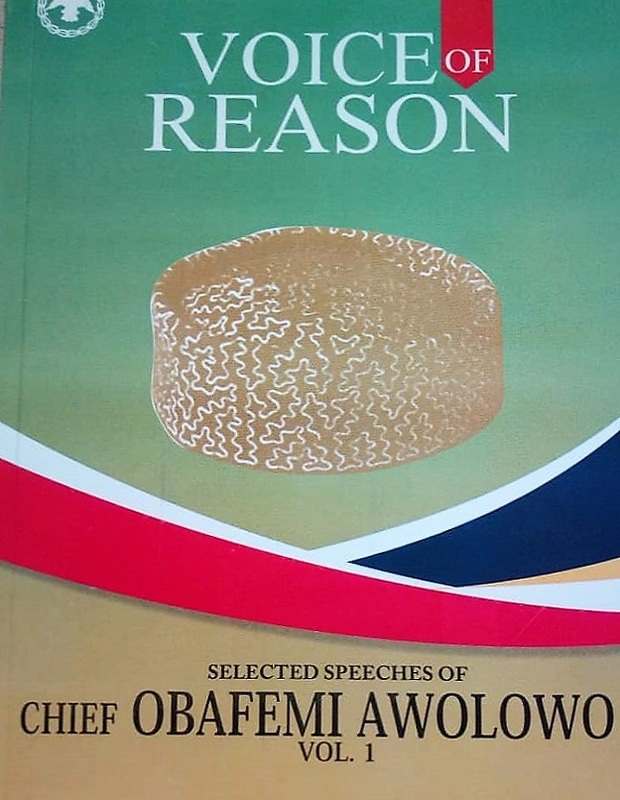 We have in our midst about 1,000 rich Nigerians who in the past cleverly rigged the sources of the wealth of our nation, and we are now tactically poised to oligopolise all the munificent avenues of riches that may supervene now and in the future. The rich, and the highly-placed in business, public life, and government, are running a dreadful risk in their callous neglect of the poor and down-trodden." 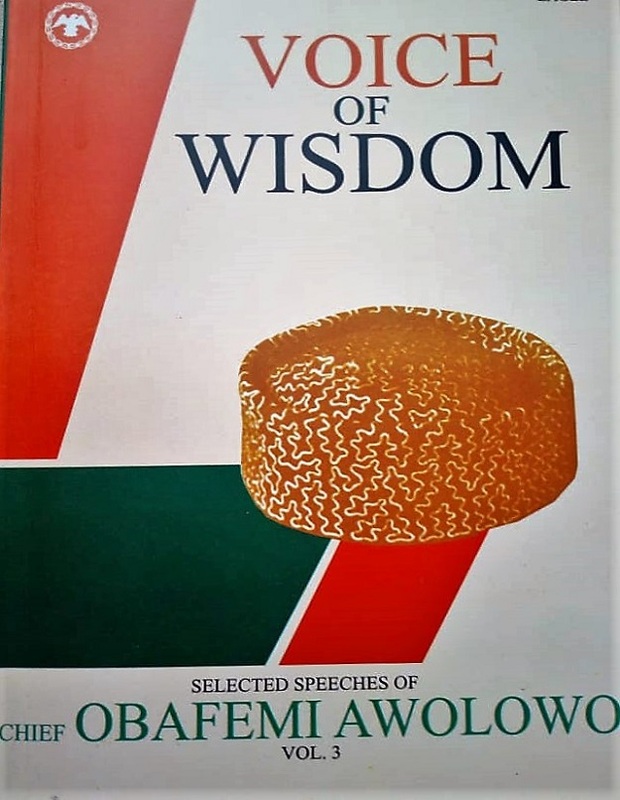 - Address delivered to Ondo House of Assembly (1980): Voice of Wisdom. NOTE: This price offer is only available for the next 3 days, and at exactly , it goes back to the original price. Go ahead and place your order by filling the short form below. It takes only 2mins to fill.